Ethos: The distinguishing character, sentiment, moral nature, or guiding beliefs of a person, group or institution (Merriam-Webster Dictionary). In today’s world of corruption and greed, it has become of the utmost importance for businesses to create trust and make a positive impact on consumers. More and more people are taking an interest in products and services that are good for the planet and good for mankind. Jason Hartman interviews his long-time friend and Tethos founder, Jason Niedle about creating positive marketing and communication strategies combined with a healthy ethos to build trust and produce results that make a positive impact on the world. The two Jason’s discuss high- and low-tech options to market businesses. Of course, the internet provides many high tech options, many practical and creative applications, to promote products and services to the world. Jason Niedle suggests ways to use low-tech options to market a business, such as good old-fashioned calendars, which he refers to as old school viral marketing. This approach can be tailored to specific niches, providing important dates or events for a specific market. He encourages being a giver versus a taker, with a win-win mindset. He also reminds us that, because of the internet, anything we do today will still be around 5 and 10 years down the road, emphasizing the importance of business and marketing integrity, having an ethos of goodwill. 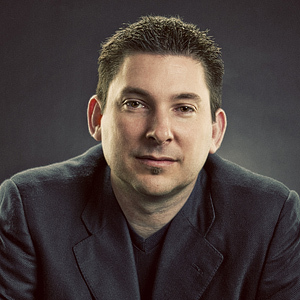 In Jason Niedle’s over 20+ years helping clients visually communicate, he is responsible for several thousand book designs, hundreds of calendars, countless corporate brands and websites, and has earned over 50 design and photography awards. He is both creative and logical: from leading the design of a one million man-hour project that is intended to last more than 10,000 years; to leading large groups of highly successful entrepreneurs. Along the way, Jason has performed at Carnegie Hall, climbed Africa’s tallest mountain, and re-met a childhood friend … only to discover that she had been his soulmate the whole time, unknown. They recently married — in four culturally authentic ceremonies in four weeks on four continents in a “Wedding World Tour” — a simple idea that not only made him an official member of Kenya’s famed Maasai tribe, but also led to their upcoming book on how anyone can create better relationships. Jason is passionate about ideas that change the world, and recently founded Tethos Marketing in order to combine his love of visual communications with his passion for helping others. Their first client was Sir Richard Branson’s charity Virgin Unite, and Tethos helped Virgin raise nearly $500k in one night. Jason believes that the only types of arrangements that we should chose are those which are win/win/win: where we can forward our personal goals, serve the goals of his partners, and at the same time help someone else.